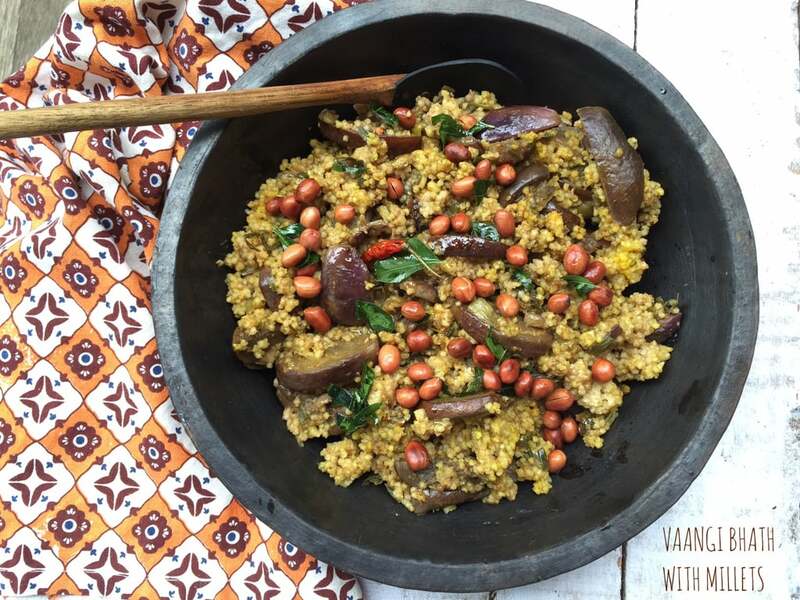 If you are a regular reader of this blog, you will know that I love using Foxtail Millet as a substitute to white polished rice. 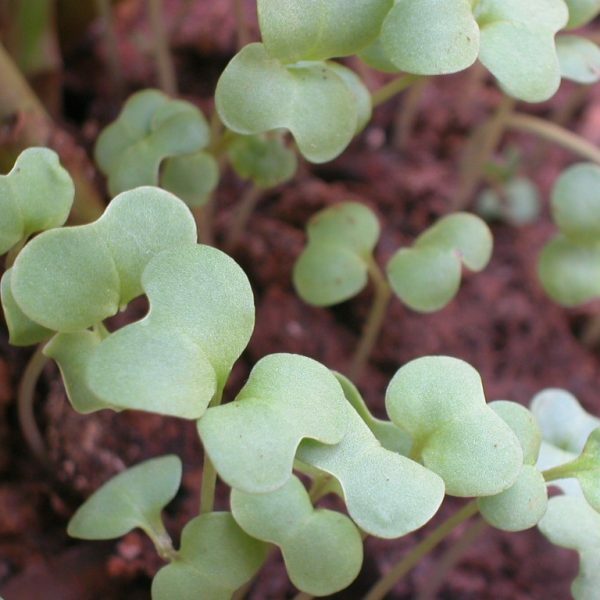 It is also good replacement for couscous in Mediterranean dishes. It’s so good to use local ingredients in global cuisines. All millets are naturally gluten free and rich in antioxidants. Foxtail millet is said to have a favourable effect in managing diabetes and reducing cholesterol. Vaangi Bhath / Vangi bhaat / vangi baath or simply put, eggplant rice / brinjal rice, was not one of my favourite dishes for the longest time. This recipe exists in both Karnataka and Maharashtrian cuisine, but with a slight difference in the spices used to make the powder. I recall the time I fell in love with this dish. It was in one of the several lunches served during my cousin’s wedding in Mysore. The caterer had made a brilliant version of the dish, redolent of freshly ground spices with a golden hue from the turmeric and succulent pieces of well cooked tender brinjals. There is nothing more off putting for me that pieces of half cooked eggplant in a dish, so I’ll overcook them if I must, but no raw brinjal for me please! Here I’ve tried making Vangi Bhath using my favourite grain, foxtail millet and Pure and Sure’s Organic Vangi Bhath spice powder. For a weekend lunch, this was paired with a cucumber salad and pumpkin raita. The crunchy peanuts as a part of tempering are a must and you can also garnish with some fresh coconut. 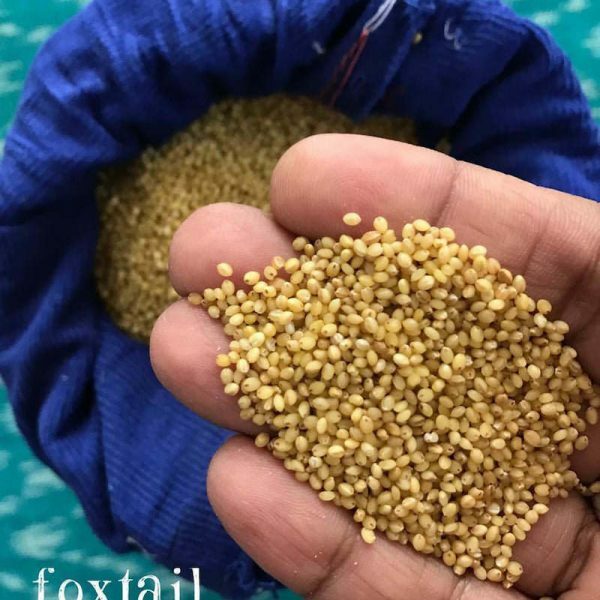 Foxtail Millet is known as Navane in Kannada, Thinai in Tamil, Kang / rala in Marathi and Korra in Telugu. Slice off the stems of the eggplant. Cut into quarters and keep in a bowl filled with salted water, until ready to use. Heat the oil in a heavy bottomed pan / kadai. Squeeze out the cut eggplant and add to kadai. Stir on high flame for a minute or so. Add the finely sliced spring onions. Add 1/2 tsp salt, 1/4 tsp turmeric powder, sprinkle some water and cover and cook until the eggplants are cooked. This will take around 8-10 minutes depending on the variety of eggplant. How to cook foxtail millets: Heat water in a pressure cooker. In a utensil that fits in the cooker, place the millets, wash once, add double the quantity of water, 1/2 tsp salt, few drops of oil and pressure cook for two whistles. Remove the vessel when the cooker is cool enough to be opened. Transfer cooked millets to a large dish and spread it out, allowing it to cool a bit. This ensures that each grain is separate. Coming back to the eggplant, add 1 tsp ready tamarind paste to the nearly cooked eggplants and 3-4 tsp of water, stir on medium flame to combine well. To this add the vaangi bhath masala and stir to combine. 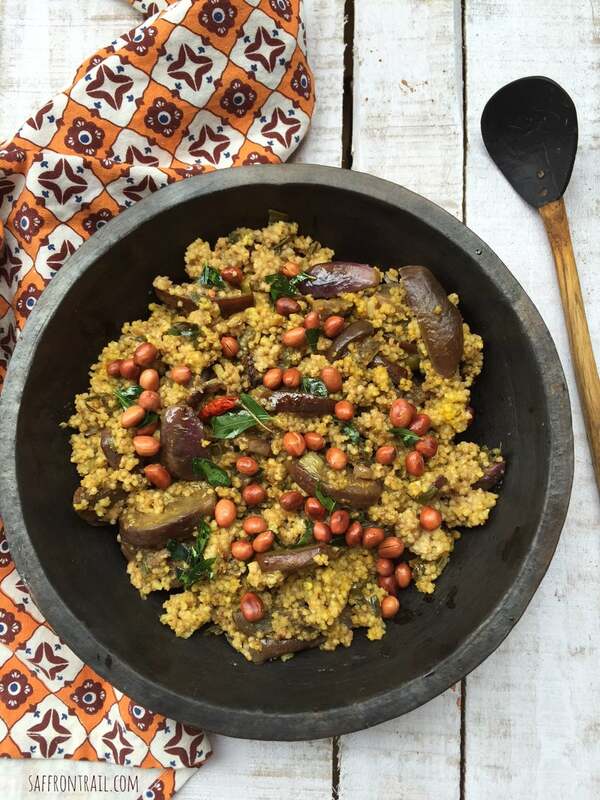 Add the cooked millets to this and stir gently to combine everything together. Adjust seasoning if required. For the tempering, heat the oil in a small tempering ladle or pan. Add the peanut and allow them to turn golden brown and crisp. Add the mustard seeds, curry leaves, dried red chilli and asafoetida. Once mustard splutters, add it over the millets. 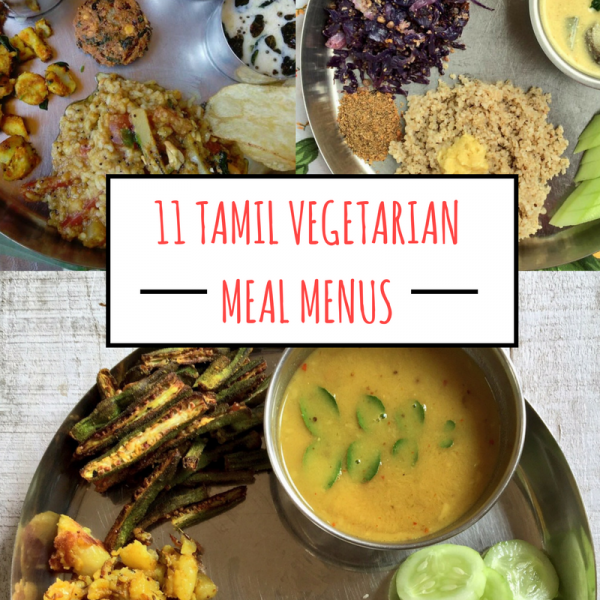 You can try the same recipe with any of the alternate grains, which are good substitutes for white rice - brown rice, broken wheat, pearl millets or quinoa. 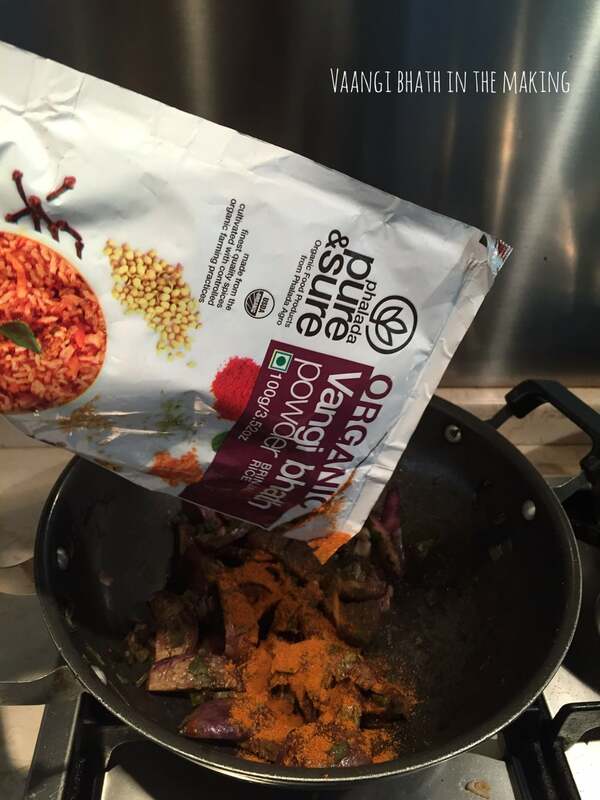 Check my video on 4 alternatives to white rice. You may also like this Capsicum Bhath recipe, where the spices are freshly ground. Followed your recipe. Finished off with little ghee. Outcome was very delicious.Shared photo on Instagram, Facebook & Twitter. Thank you.